We are seeking a talented and hardworking individual to assist our fundraising efforts as the Manager of Corporate & Foundation Giving in the Development Department at the Colorectal Cancer Alliance. The Colorectal Cancer Alliance is a national organization committed to ending colorectal cancer within our lifetime. We help patients and families, survivors and caregivers, navigate their diagnosis and treatment, connecting them with those who can share experiences and knowledge, address concerns, and identify resources to meet their needs. We partner with healthcare professionals and social influencers to raise awareness of preventative screening, and we collaborate with researchers to better understand the disease and fund critical research. Our efforts are urgent, effective and efficient because we believe that tomorrow can’t wait. The Manager of Corporate & Foundation Giving is responsible for growing the corporate and foundation giving constituency group to provide funding to support the Colorectal Cancer Alliance. The Manager of Corporate & Foundation Giving is a critical member of the Development Department and directly contributes to the effort to achieve ambitious fundraising goals. Manage and grow a pipeline of prospective industry, corporate and foundation partners by researching and identifying new grant prospects and funding opportunities. Manage the grant and sponsorship development process from proposal development and submission to reporting. Manage and grow a portfolio of cause marketing partners. Work in collaboration with the Marketing & Communications Department to develop sponsorship and corporate marketing pieces, including sponsorship packages and impact reports. Maintain the team’s databases of funders including but not limited to: maintaining up-to-date contact information and ensuring that all submitted letters of inquiry/proposals, grant agreements, reporting and other support materials are uploaded and kept up-to-date. Manage the fulfillment and tracking of all sponsorship benefits and actively work to create an exemplary “white glove service” experience for all sponsors and funders. Provide leadership, guidance, and mentoring to the Corporate & Foundation Giving Intern while supervising their work. Prepare the Chief Development Officer, Director of Corporate & Foundation Giving, and other members of the Leadership Team, as appropriate, for key interactions with current and potential sponsors, including creating briefing documents in advance of meetings; recommending agendas for meetings and calls; and preparing collateral materials. Persuasively convey the Colorectal Cancer Alliance vision, mission and story. 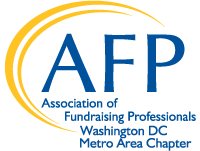 Provide leadership to create a culture of philanthropy throughout the entire organization. Gain a general understanding of colorectal cancer research, prevention and treatment; be an advocate for the Colorectal Cancer Alliance and its mission. Interact professionally with other employees, constituents, Medical professionals, and vendors. A minimum of three years of progressive development experience including corporate fundraising, grant writing, business development, and/or event sponsorships. Experience with partnership management and relationship building. Demonstrated experience with implementing fundraising plans and identifying, cultivating and securing new funding. Strong writing and organizational skills. Excellent verbal communication skills and the ability to make oral presentations. Driven to succeed and enjoy working in a fast-paced, highly dynamic environment with a proven ability to work independently, exercise professional judgement and discretion. Team oriented, flexible, creative, positive, personable, and eager to learn. Some travel is required for this position based on the needs of the Alliance. To apply please send a cover letter with salary requirements and resume to careers@ccalliance.org. Applications missing any of these three items will not be considered. We are the Colorectal Cancer Alliance. We believe colorectal cancer is a senseless killer that must be stopped. Founded in 1999 by a group of 41 survivors, caregivers, and friends, we are today the nation's leading nonprofit dedicated to colorectal cancer. We empower a nation of allies who work with us to provide genuine support for patients and families, caregivers, and survivors; to raise awareness of preventive measures; and inspire efforts to fund critical research. United in our fierce determination to dramatically impact the way society sees this devastating disease, we exist to end colorectal cancer in our lifetime.